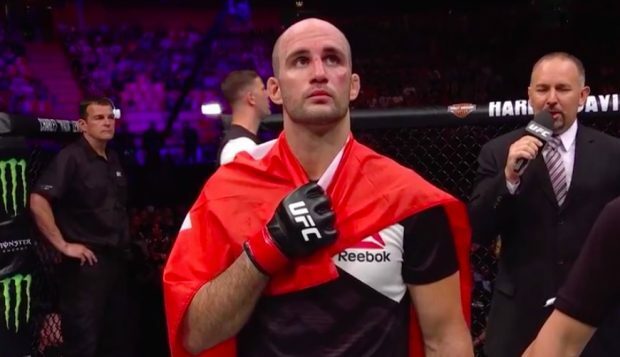 Volkan “No Time” Oezdemir better live up to his nickname if he intends to fight for the UFC light heavyweight title in the near future. According to a report published by MMA Junkie earlier today, the UFC light heavyweight was arrested and charged with aggravated battery causing bodily harm or disability in Florida. 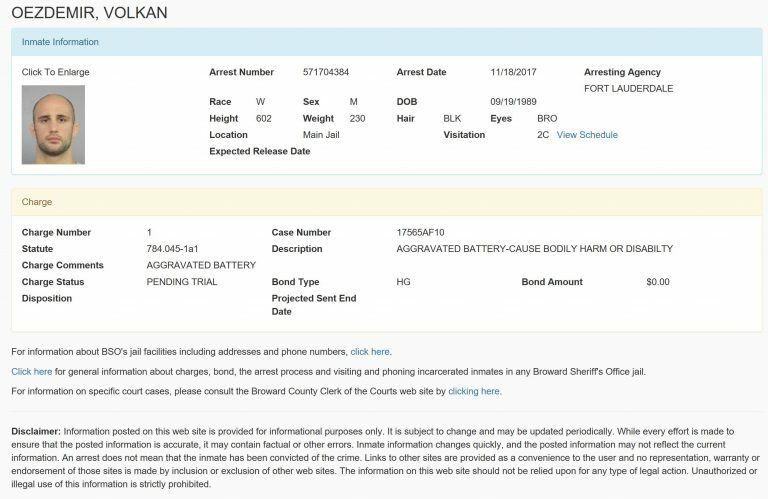 The record of his arrest was published earlier on today and following screenshot below was accurate as of 14:30 pm GMT. 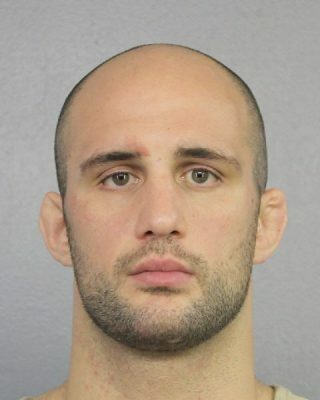 Oezdemir was arrested in Fort Lauderdale and is said to be being held in the main jail at Broward County. There are currently no other details available about his arrest at this time. The timing of this incident couldn’t be worse for Oezdemir who has recently been heavily linked to a title shot against Daniel Cormier in early 2018. The Swiss fighter trains out of Combat Club in Florida and was formerly part of the Blackzilians before the camp dissolved in 2016. The 28-year-old competed in Bellator and multiple other European promotions before making his debut earlier this year in February when he took on Ovince Saint Preux on short notice at UFC Fight Night 104. After squeaking out a tight split decision win over Saint Preux, Oezdemir went on to send ripples through the 205-pounds division with first round knockout wins over Misha Cirkunov and Jimi Manuwa. Having claimed two of the biggest scalps in the division, Oezdemir and Cormier were both talking up the chances of a showdown in 2018, but only time will tell now whether this arrest will throw a spanner in the works for that fight. “UFC is aware of the situation involving light heavyweight athlete, Volkan Oezdemir.